Although we are known widely for its fertilizer programs, Pristine Lawn Care also provides general services that come under the banner of lawn care. These include aeration and seeding. Even though there are no specific departments for these yet, we, as a reliable company, still supply these services as additional parts to our fertilizer plans so that customers can be facilitated by finding all required lawn care services under one banner. Pristine Lawn Care has an exclusive seeding schedule. We strongly believe in seeding the lawns when the time is just right to experience minimum maintenance. The ideal time is from late August to mid-October because this period affords the opportunity for ready fertilizer uptake and increased cushioning for the plants. Coupled with our specialized techniques, we bring the oxygen and water absorption rates to a maximum. Any plant owner knows where ever there are greens; there are insects and grubs. Coupled with weeds and other pests, grubs and beetles possess the ability to destroy your plants. 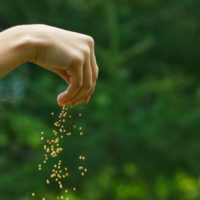 Besides this, an overpopulation of grubs is an ‘unwanted’ occurrence and can be really annoying for homeowners who don’t have the time to manage such issues. Pristine Lawn Care takes care of this for you. By using our special insect control manifests, we ensure that your lawn or yard spaces are entirely free from grubs and insects. The chemicals we administer offer the best quality to give you long-lasting results. They have also been checked to be safe for use around humans and animals (such as pets) thus, causing you as little discomfort as possible. Pristine Lawn Care has carved a position for itself in the lawn care market for being one of the most reliable professional companies in the weed control department. Our efficiency and minimum error rest upon using the most appropriate equipment, coupled with a selection of the most effective routines and an experienced team. The products we use are high-end, which affords us maximum room for performing a thorough and economic job. Even though the procedure might seemingly cost more, the deficiency in cuts in low maintenance eventually incurs savings. Since weed control is a major market demand, the company plans to expand our expertise into the department over the next few years. Contact us now and let’s get to work!